Every year people ask us why tickets are needed for Beltane, how the money is spent and where funds for the festival come from. 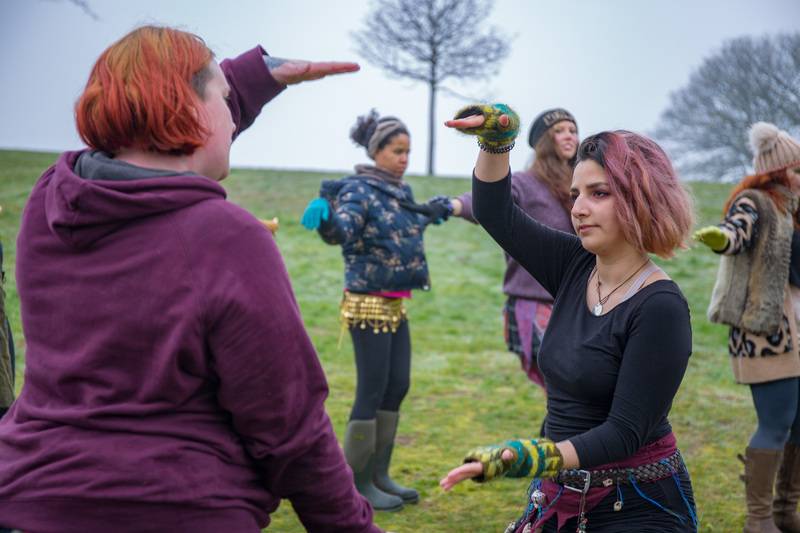 We’ve heard some amazing (and often hilarious) misconceptions, so we want to share a bit of what it takes to put on a festival as incredible as Beltane, why tickets are needed, and the very long list of things you help make happen by supporting us. Why have tickets at all? Any event with an audience of thousands has a responsibility to provide adequate safety and facilities – which we are required to do by Edinburgh City Council and by law. While we would love our festival to be a free and open one, without any restrictions, we are bound by the necessary requirements of the scale and situation of our events. Provision of facilities for our audience is mostly a cost to the Society, not a commercial benefit. Our events are a victim of their own success – without ticketing and event management we would be unable to coordinate or pay to continue in the way that so many people clearly want us to. As well as the fact that tickets bring in the money that we need to keep our festivals happening every year, it’s something we do for safety reasons. They help us make sure we have a level of control over how many people are able to arrive on Calton Hill for the festival so there aren’t crushes and so everyone can get a great view of the performances. This wasn’t an issue at the beginning when Beltane was tiny, but as the festival grew and our audience grew, our need to put measures in place to keep everyone safe and enjoy the night grew as well. Do we get any other cash? Beltane Fire Society is a volunteer-run non-profit organisation and a registered charity and company. We came from small beginnings but quickly reached a size where it was necessary to formalise our structure. Although we host festivals in Edinburgh, we operate independently and are not part of the big giant Edinburgh festivals group. We are looking at applying for arts and community events funding, but we’re not funded by the government or by the council. So, lovely people of Edinburgh, your council tax does not pay for Beltane, including the clean-up afterwards! We have to raise money ourselves to put on our events and the biggest chunk of this income is from (yep, you guessed it) Beltane Fire Festival tickets. 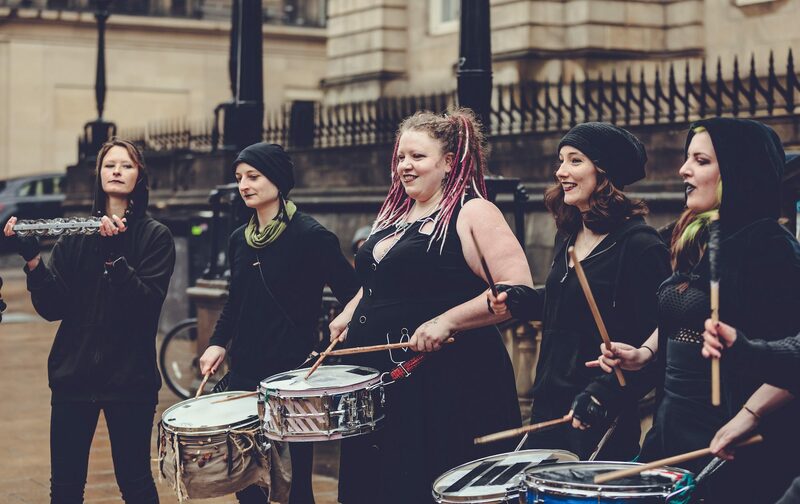 We also receive a comparatively small income in the form of donations at Samhuinn Fire Festival (which is not a ticketed event and is held on the streets of Edinburgh in October). Where does the cash go (and not go)? 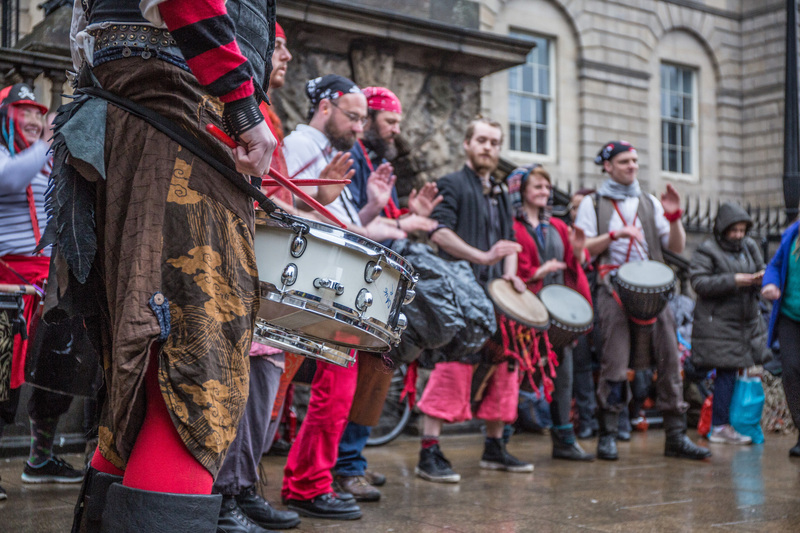 Our two main festivals, Beltane and Samhuinn, are huge performances of fire, drumming and physical theatre. We love them and they are epically entertaining, but they are logistical monsters to put on. Our paid Event Coordinator holds a paid, short-term and part-time position and our Health & Safety officer receives a small token fee. We also need to pay for a small office space and workshop year-round, as well as storage space and other running costs of a charity and company – and the ‘unsexy stuff’ we list for your surprise and entertainment below. But everything else (EVERYTHING!) is done by volunteers at their own expense, often with a personal contribution of hundreds of pounds each year to costumes, rehearsal space, props, equipment, transport and musical instruments. Our Board of Trustees are volunteers. Our Group Organisers are volunteers. Our performers, Stewards and Tech crew are volunteers. Artwork for our posters and flyers is designed by volunteers. The people responsible for year-round PR, press and media, and online communications are volunteers. 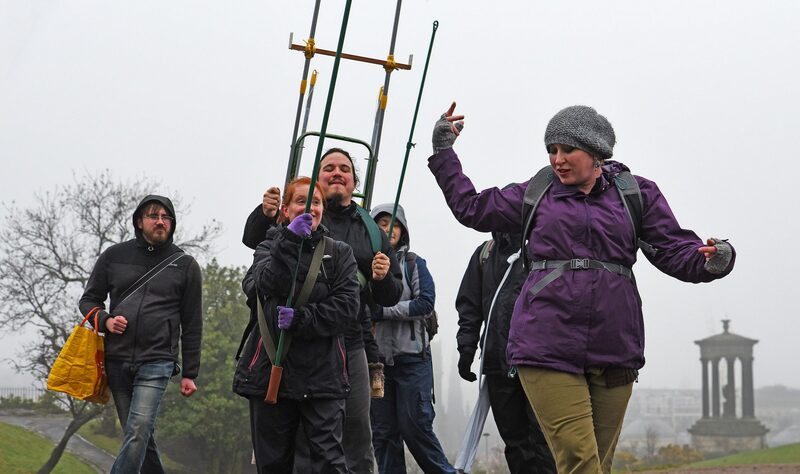 We’re talking literally thousands of hours clocked up over the course of each year by people who dedicate their time and energy to the Society and our events on a voluntary basis. The money you spend on your Beltane ticket (which is a similar amount to what you would pay to see a film at the cinema) does not line the pockets of any of these people. And now, the bit that our current Event Coordinator describes as “the unsexy side of Beltane”…here are just some of the things that we have to pay for to make Beltane happen: use of Calton Hill, security personnel, lighting, power, licenses & permits, box office, ticket printing, staging, PA system, pyro, generators, heras fencing, crowd barriers, insurance, ambulance, first aid, portable cabin hire, tidy up crew, litter pick-up, van hire, fuel for vans, paper rope, decor, fire extinguishers, fire blankets, radio hire for on-site communications, poster and flyer printing and distribution, toilet hire, bin hire, signage, and safety equipment for the tech crew. Phew! At Samhuinn, we also have to pay for things like road closures on the streets of Edinburgh which, as you can imagine, is not exactly cheap. We source materials and supplies from local businesses where possible, to support other people living and working in and around Edinburgh. In short, every penny you spend on a ticket is spent on ensuring that BFS continues to exist and our events continue to happen. We literally could not do this without you. Photo of the audience around the stage at Beltane 2014 by Jasper Schwartz. Next What’s this? Another media round-up!